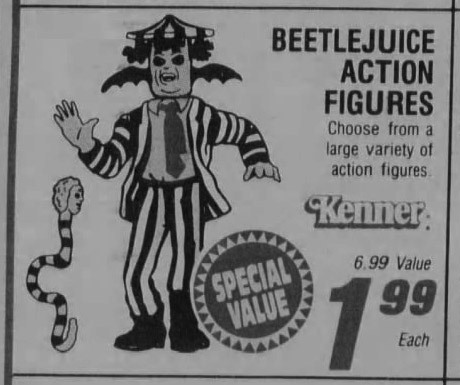 Kay-Bee Toys' 1991 Holiday Clearance Sale! | Dinosaur Dracula! 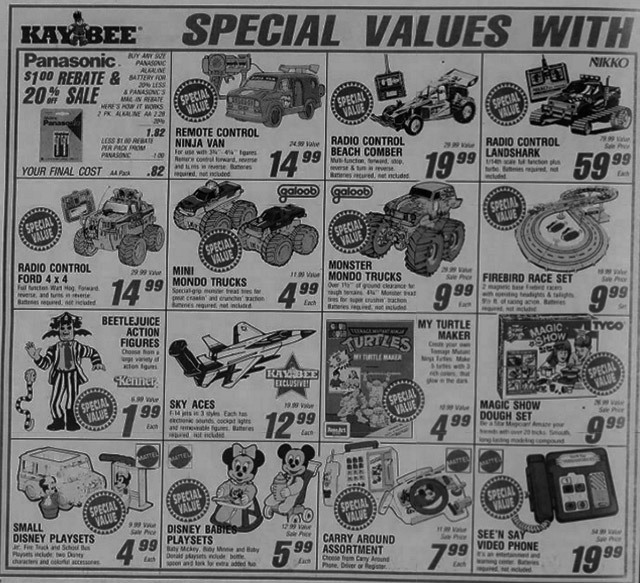 I love all of the toy store circulars that come with newspapers during the holiday season, even if the present definition limits that to Toys “R” Us and individual pity pages from Target and Walmart. You know what we’re missing? Kay-Bee Toys! 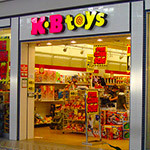 I’ve written about Kay-Bee (later KB) many times before, but here’s the short version: It was like you took a Toys “R” Us store, replaced its manager with the weird guy who runs the local consignment shop, and told him to make do with an eighth of the space. Kay-Bee was the bomb, but sadly in a way that most of us never fully appreciated until it was too late to do more than whine on nostalgia blogs. Sad trombone… available in Aisle 3, which is really just the back half of Aisle 1, and try not to step on the Godzilla toys because they had to put them on the floor. 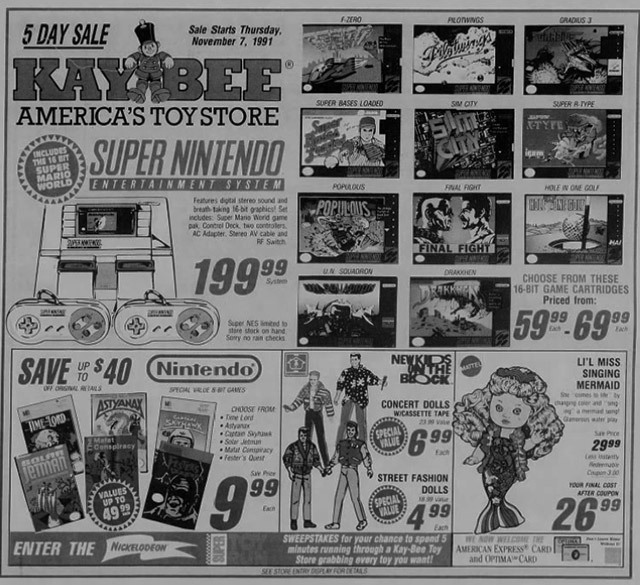 The scans shown above were part of a Kay-Bee circular from November of 1991. They were having a big five day sale, which was less a “holiday sale” and more of a “GOOD GOD we need to make room for this year’s Christmas junk sale.” The complete circular was around eight pages long and completely full of win. I’ve collected ten of my favorite items featured in it, down below! 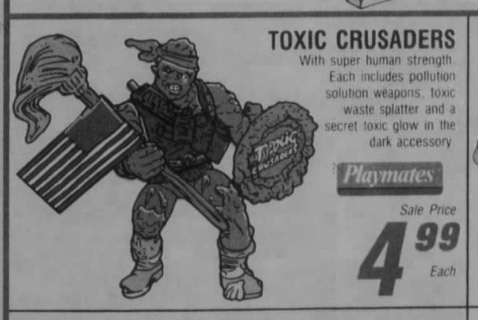 I remember very little about the Toxic Crusaders cartoon, but I was a major fan of its corresponding toy line. The figures felt like a bizarre blend of the Ninja Turtles and the freaks from The Hills Have Eyes, with every character trying to out-gross the previous. 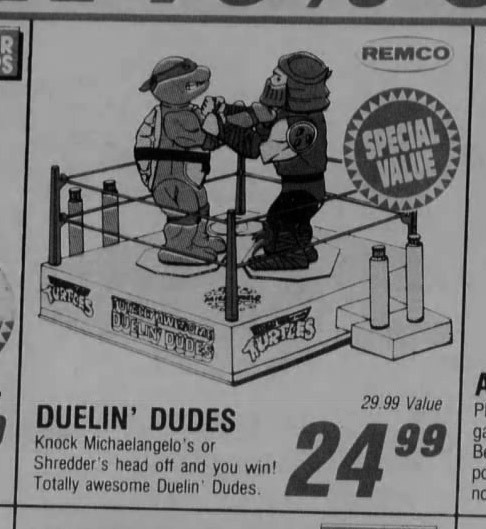 It’s exactly what it looks like: A TMNT spin on Rock’em, Sock’em Robots, with Mikey and Shredder trying to dislocate each other’s heads. Rounds were incredibly aggressive, with the kids controlling each boxer momentarily losing all senses of decency and grace. Cowabunga! 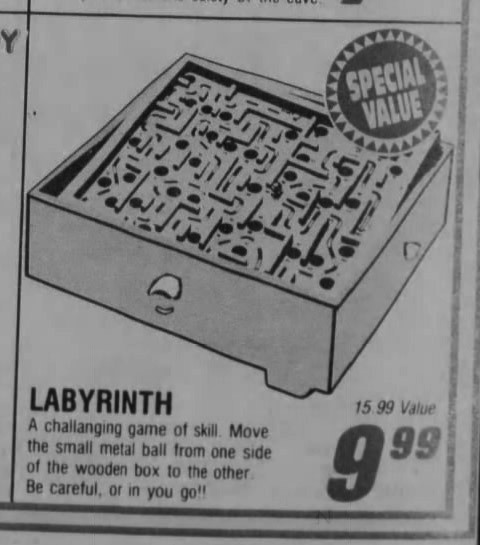 While it doesn’t appear that any one company owned the patent, I believe this was the version put out by Pressman, which was as close to an “official” Labyrinth game as they came. Even if you’ve never played it, I’m sure you’ve tried something similar: It was one of those games where you had to guide a marble through a maze without letting it fall into any holes. Frustrating as hell, but completely gripping. There’s a 85% chance that you received this for Christmas from some distant aunt who barely knew you. Oh, man. Ten dollar Nintendo games! Most of them weren’t especially hot titles, but Kay-Bee was also selling stuff like The Legend of Zelda for a mere twenty bucks, sealed and case fresh! If you’ve spent any time searching for old Nintendo games on eBay, you know how much sealed copies go for. 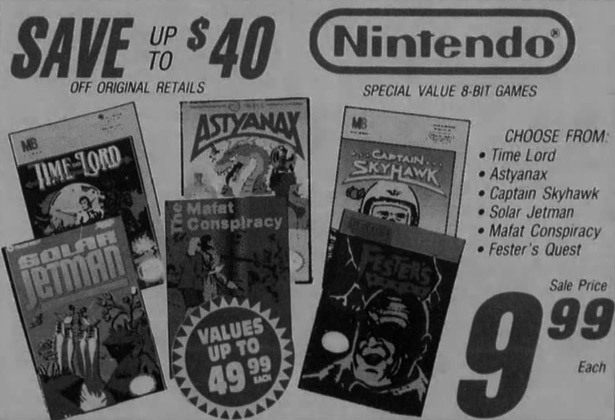 Had anyone the foresight to blow a thousand bucks on Kay-Bee’s Nintendo games and stash them in an airtight tub, they’d probably own ten islands by now. I was lucky enough to enjoy Super Soakers when they were at their absolute peak as “fad items.” The difference between that and any other era is that EVERY kid had a Super Soaker. We used to have entire neighborhoods involved in our water wars, with teams of ten soaking wet wannabe Rambos darting behind cars and aiming for the eyes. Sooo much fun. Yup, they were on sale for just two bucks. As insane as that sounds even by 1991 standards, it was par for the course with Kay-Bee. 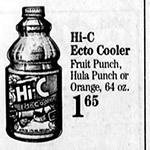 They never tossed their old stock, and just kept slashing the prices until someone finally took pity on cold-as-ice brands. I couldn’t even begin to remember all of the times I partook in one of Kay-Bee’s 3-for-$10 sales. It got to the point where I wouldn’t even notice a toy unless it had five different price stickers all over the package. 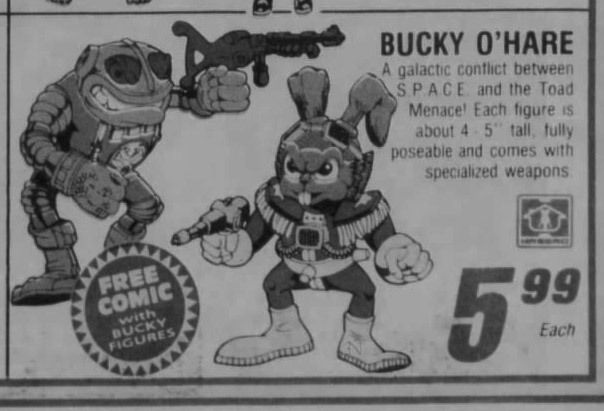 You’ll notice that many early ‘90s toy lines aped the scale and flavor of the Ninja Turtles collection, and Bucky’s was no different. 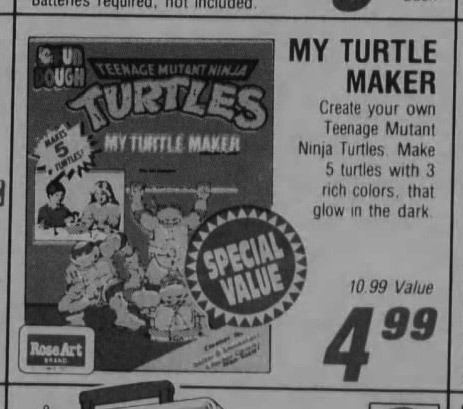 The figures had bold colors and wonderful sculpts, looking like the perfect midpoint between TMNT and something from Fisher-Price. 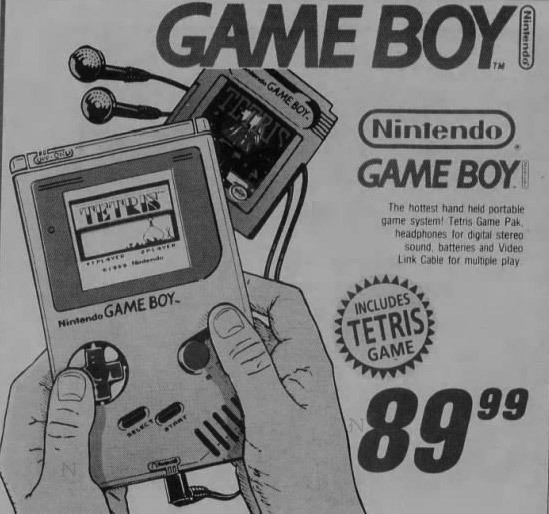 The Game Boy was hardly new by 1991. It came out a few years earlier, and not getting one exactly when I wanted to caused me to spend one disappointed Christmas as a complete and total brat. By 1991, I did have one, and like most of you, I played the hell out of it. For a while, it was as much a part of me as my kidneys. 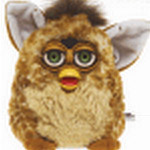 This was one of the quintessential Kay-Bee toy lines. I think 90% of the stores were still selling Swamp Thing junk on closing day. Hey, I can totally understand their hesitance to give up: Those figures were fantastic from end to end. 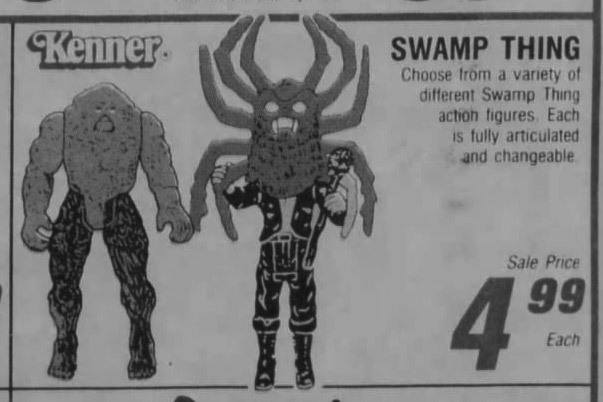 Though the many versions of Swamp Thing were the line’s most famous offerings, I gotta give a shoutout to the more villainous figures, which typically arrived with Archie McPhee-style finger puppet monsters over their heads. 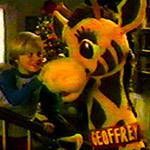 Now that was a gimmick! 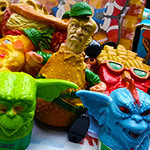 This Fun Dough set worked like any of the more common Play-Doh character sets, where you’d pop wads of dough into plastic molds, and end up with soft, crude versions of your favorite cartoon heroes. Then, if it was the right kind of night, you’d eat them. That stuff wouldn’t have tasted so good if you weren’t supposed to. Writing this has made me realize that I might miss Kay-Bee more than any other chain. You just can’t beat a football stadium’s share of toys crammed into a space that was more suited to a shoe store. 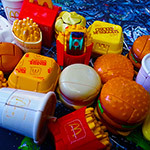 The fact that you were a stone’s throw from a McDonald’s cheeseburger only sweetened the deal. Shopping malls used to rock, guys. PS: In my latest piece for DealNews, I attempt to name my ten favorite vintage Star Wars figures. It wasn’t easy to do, and if I wrote that article tomorrow, it’d probably include six different ones.